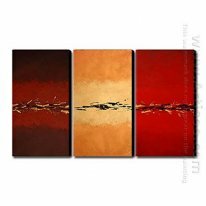 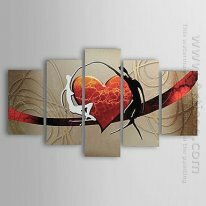 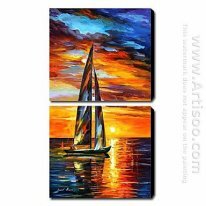 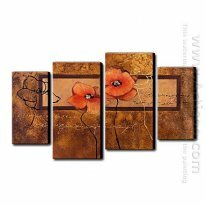 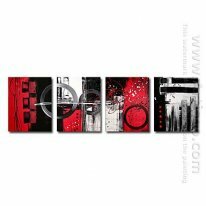 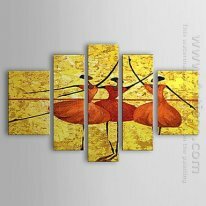 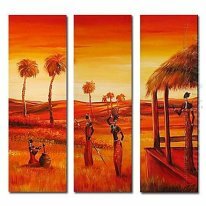 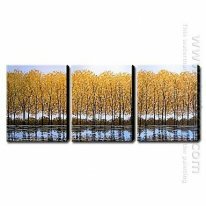 With warm colors canvas painting sets like red or orange, you may perceive large spaces to be more intimate. 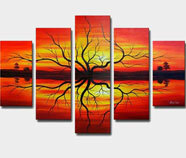 The warm colors appear to come forward in the room, and seem closer than they are in reality. 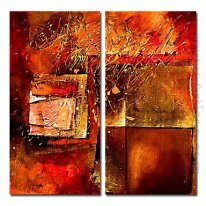 They are giving off a feeling of intimacy and grabbing attention from people inside the room. 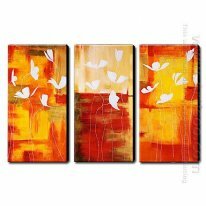 Warm colors canvas sets are good at grabbing attention because they bring out a mood that does not relax, but excites the viewer. 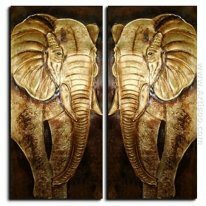 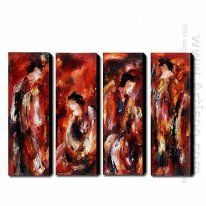 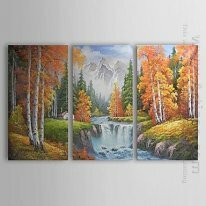 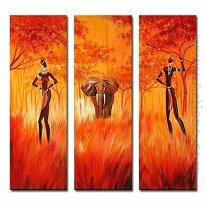 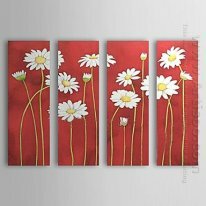 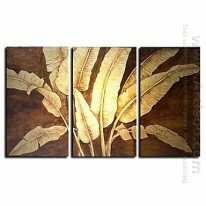 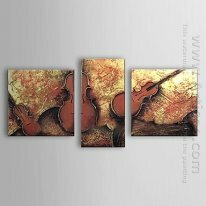 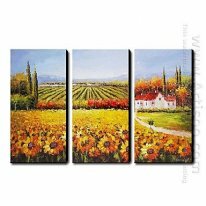 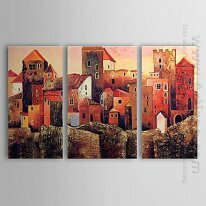 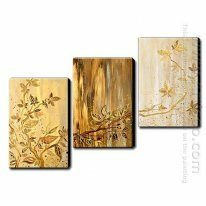 Warm colors canvas sets therefore work really well in the social rooms of your house, such as the living room, dining room and kitchen.